02 October 2015Should Scotland make reparations for its role in slavery? "SCOTLAND should atone for decades of slavery in sugar plantations in Jamaica by launching an economic and educational link-up between the two countries, an expert has claimed. Sir Geoff Palmer, a professor emeritus at Heriot-Watt University in Edinburgh who himself is the descendant of Jamaican slaves, said Scotland could replicate its approach to Malawi in its relationship with the Caribbean country. His comments come as a new book is published detailing Scots links with the trade. Prime Minister David Cameron, who was in Jamaica earlier this week, has dismissed calls for reparations for Britain’s role in the slave trade and has instead urged Jamaican countries to “move on”. Sir Geoff said: “In terms of reparation to Jamaica, I think Scotland should consider doing what it has been doing in Malawi for years. 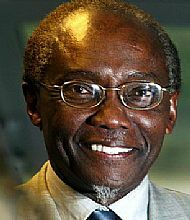 Geoff Palmer, the UK's only professor of brewing and distilling, pursued his unusual scientific career after arriving from Jamaica in 1955 as a 14 year old boy. When he went for an interview for an MSc in 1964 the representative from the Ministry of Agriculture suggested he go back home and grow bananas. Why? Because he didn't know the difference between wheat and barley. Undeterred he went on to become a world authority on barley, brewing and distilling and Scotland's first black professor. The 'representative from the Ministry of Agriculture' was Sir Keith Joseph.